beatriz maria I am validating that this deal work as described. 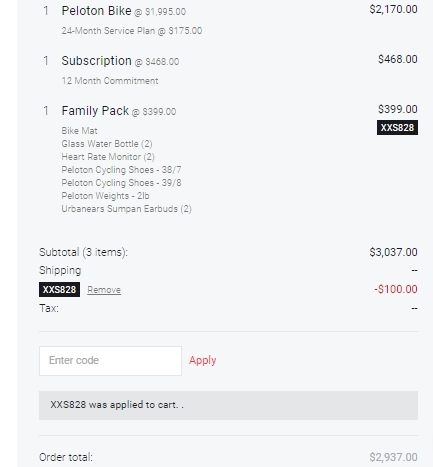 Enter code XXS828 and get $100 Off Accessories w/ Bike Purchase at Peloton Cycle (Single-Use Code). This is a limited time offer.